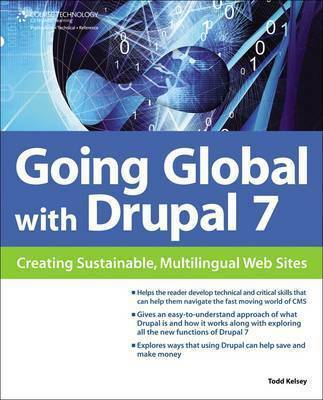 GOING GLOBAL WITH DRUPAL 7 teaches readers how to use the Drupal content management system to help save and make money on their website. This book will equip readers with the technical ability to create and maintain a website in Drupal, including making the content available in several languages, as well as providing tips on where to put their new website and how to connect to the Drupal community. With GOING GLOBAL WITH DRUPAL 7 readers will learn how to take advantage of the latest version of Drupal to create a sustainable website and then through promotion grow their site worldwide!